SOUTHINGTON - Two teams will square off at Ceppa Field this weekend with a chance to cement their names as Connecticut’s best. 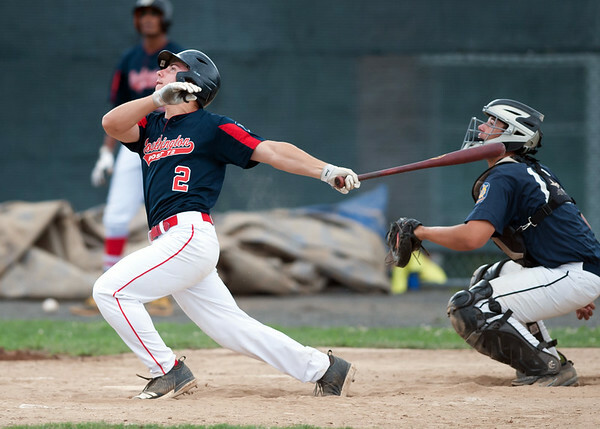 The Southington Legion baseball team will take on Ellington in a best-of-three series starting tonight at 6:30 p.m., with the winner bringing home the state championship. It has been an up-and-down season for Southington, having three separate multi-game losing streaks this season. But Southington has played its best baseball of the season in the last three weeks, winners of nine of its last 10 games, including a 13-inning marathon game Tuesday against Cheshire. Southington head coach Marc Verderame said the low points of their season, such as being mercied twice in three games in the middle of July, helped prepare for the team for their playoff run. It was a tough road to the final for Southington, needing to beat top-seeded Cheshire along the way. But Ellington had to earn their way as well, winning 13 of its last 15 games, dating back to the regular season. Ellington beat RCP and Tri-County twice in the Super Regional. But one hurdle for Southington could be its pitching staff. Both Jeremy Mercier and Sheehan threw more than 100 pitches Tuesday night against Cheshire when Southington clinched its spot in the championship series. As a result, neither pitcher will be able to toe the rubber this weekend. Sheehan alone has pitched 15 1/3 innings in the playoffs for Southington, the second most of anyone on the staff. Ellington will be facing a similar problem. Dakota Aldrich and Sefan Lesco will both be ineligible to pitch in the title series. Still, Southington is enjoying the moment as it looks to capture its second crown in program history and first since 1993. The team did reach the title round in 2013, but lost to Branford. Ellington, meanwhile, has yet to win a state championship in its history. The series will conclude Saturday, whether it is one or two games. The winner of the series will then move on to the Northeast Regional tournament, which begins Wednesday in Shrewsbury, Mass. Posted in The Bristol Press, Southington on Thursday, 2 August 2018 19:56. Updated: Thursday, 2 August 2018 19:58.